While the core specifications are not mind-blowing, the battery life and general usability of this notebook are both impressive. It is compact and portable, and with built in SIM support can be used for your mobile broadband requirements without the inconvenience of a dongle. Even so, the price is tough to swallow and would buy a cheaper notebook plus a spare battery or two from a different company. Fujitsu's new LifeBook P770 certainly isn't an inexpensive ultraportable, but it makes up for that price by offering some outstanding performance and features in a very compact system. Performance is very strong with the new ultra-low voltage Core i7 processor and it doesn't impact running times all that much. For its price though, it would have been nice to see more memory, hard drive space and a sturdier feel. Cheap and cheerful netbooks have encroached significantly on the ultra-portable market, but, as anyone who's used a netbook can testify, their performance often leaves a lot to be desired. 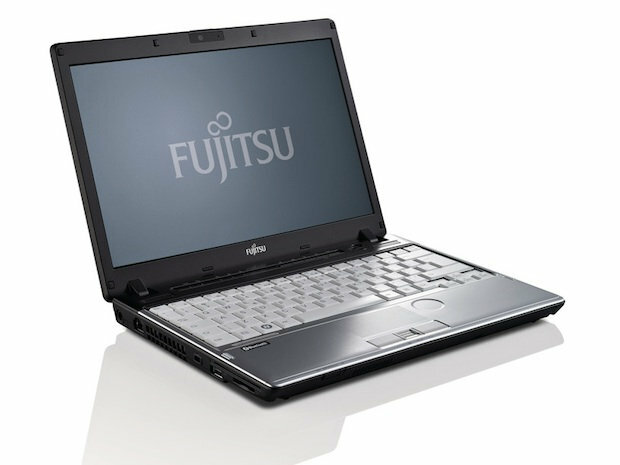 Nevertheless, the Fujitsu LifeBook P770 remains an impressive machine for business users. It's small and light, has a very fast, yet power-efficient, processor and comes with integrated mobile broadband. The build quality could be better, but in most regards, this is a very sound business laptop. The Fujitsu Lifebook P770 is an ultra-portable laptop equipped with one of Intel's latest low voltage Core i7 processors. Read our review to find out if it successfully combines fast performance and long battery life in a slim, lightweight package. 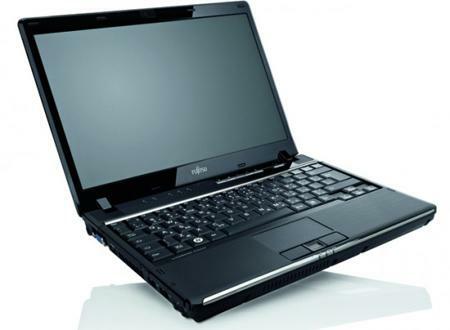 Fujitsu's LifeBook P770 is designed for anyone after a small yet fully featured laptop. It's a 12.1in ultraportable notebook with a Core i7 CPU and 4GB of RAM, as well as plenty of ports and a built-in optical drive. 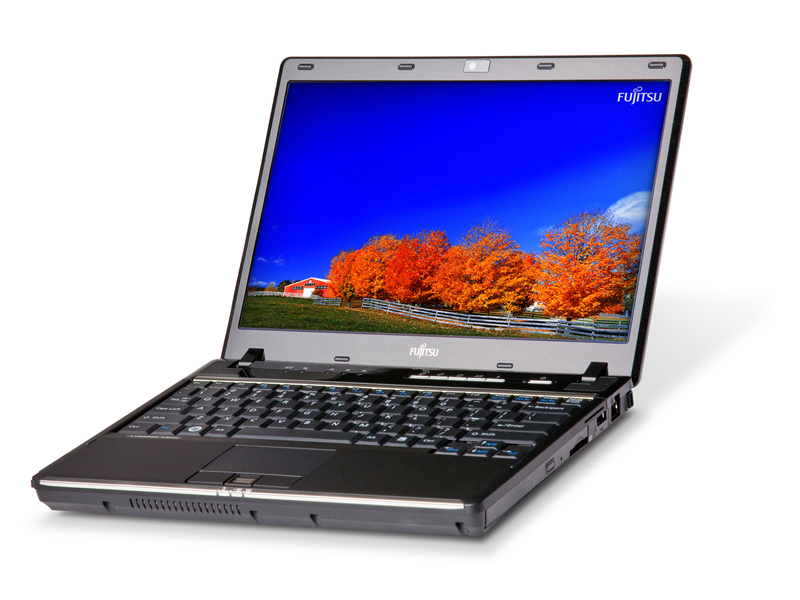 Fujitsu's LifeBook P770 offers good performance and plenty of features in a small, 12in body. It weighs only 1.4kg and is ideal for users who want a small, very mobile laptop that doesn't compromise much when it comes to features. Fujistu’s new Lifebook P770 has a lot of the same ingredients as its predecessor – the Lifebook P8110. If you don’t balk at the price, the P770 is a good purchase. That said, there aren’t that many high-end corporate models over £1,000 so there’s not much in the way of competition. 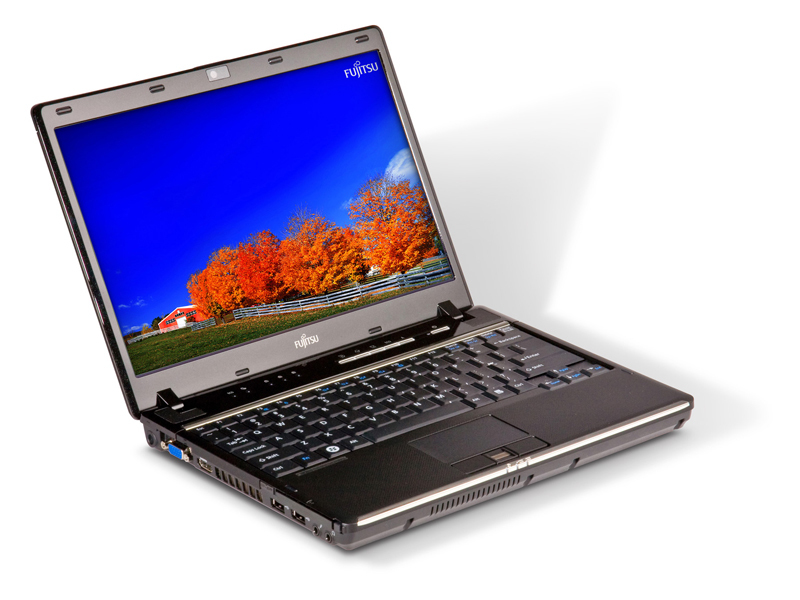 However, the P770 is a robust laptop built for portability, heavy duty use and top performance. If you don't balk at the price, the P770 is a good purchase. That said, there aren't that many high-end corporate models over £1,000 so there's not much in the way of competition. However, the P770 is a robust laptop built for portability, heavy duty use and top performance. A sturdy 12.1in laptop boasting impressive performance and battery life. If you don’t balk at the price, the P770 is a good purchase. That said, there aren’t that many high-end corporate models over £1,000 so there’s not much in the way of competition. 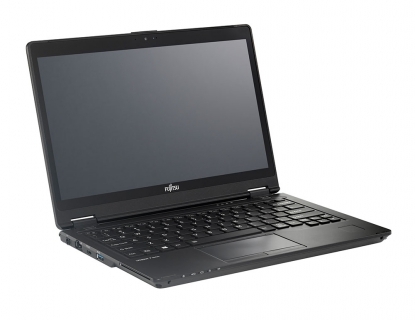 However, the P770 is a robust laptop built for portability, heavy duty use and top performance. Anyone who needs a highly portable laptop for constant travel, but with more power than a standard netbook, should definitely consider the Fujitsu Lifebook P770. Very few flaws detract from this feature-packed machine, which provides the ultimate freedom thanks to the built-in 3G module. Business users and anyone seeking dependable performance from a highly portable machine should certainly consider the Lifebook P770, as there are very few flaws. The laptop does come at a rather steep price, however, so be sure to consider your needs first. Fujitsu's LifeBook P701 falters from being a good laptop because it is still stuck in the older corporate computer mindset. It comes with half the RAM and a third of storage space of the modern laptop PC. Add to this the lack of modern high speed peripheral ports and you are stuck relying on your limited resources with limited external expansion options. On the whole, this laptop is a solid machine that goes about its business with the minimum of fuss. It doesn't really excel in any one area and the spongy keyboard, shortish battery life and lack of a DVD drive are disappointing. The aforementioned Acer performs just as well (apart from in 3D graphics) for only £450 -- over £200 less. The Fujitsu Lifebook P701 is small and nicely made. We'd have liked a higher screen resolution and could live without the ScrollWheel - but overall, if you need something very portable, it could suit. Legado preparado. Fujitsu fue uno de los pocos fabricantes cuyos convertibles equipaban las bisagras rotatorias, el Lifebook P727 es el primer convertible con bisagras de 360° con el que espera atraer a clientes de Dell, HP y Lenovo. Nuestro análisis revelará si el Lifebook lo consigue o no. The Lifebook P727 is not hiding the fact it is a through and though business laptop – we don’t recommend it for home or causal use. If you’re a small business owner looking for a hardy, flexible and secure machine to run your operations from then it’ll be perfect. Fujitsu's Tablet Lifebook P728 is a neat little 12.5-inch convertible that's well built and supports all-day working on battery power. The PalmSecure biometric security, along with a smart card reader provides strong device security, and the whole package is relatively lightweight at 1.2kg. This is all good, but you do pay a hefty price. Intel Graphics Media Accelerator (GMA) 4500MHD: GPU integrado (memoria compartida) em el chipset GM45 (Montevina). Gracias a dos shaders más y una frecuencia de núcleo más alta, es mucho más rápido que el antiguo GMA X3100. Aun así, no es recomendable para jugadores (juegos DirectX 10 no son fluidos y pueden ser jugados sólo con configuraciones muy bajas). El procesador de video integrado es capaz de ayudar a decodificar videos HD (AVC/VC-2/MPEG2), como para una reproducción fluida de Blu-Ray con CPUs lentos. Intel Graphics Media Accelerator (GMA) HD Graphics: Tarjeta gráfica integrada en las nuevas CPUs Arrandale (Core i3 / i5 / i7 Dual Core). Dependiendo del modelo y de Turbo Boost, la GMA HD tiene una velocidad de reloj entre 166 y 766 MHz.Intel HD Graphics 3000: 3 futuras (1er trimestre 2011) tarjetas de video integradas en los procesadores Intel Sandy Bridge (Core ix-2xxx). La 3000 / 200 es la versión más veloz (internamente llamada GT2, con 12 Unidades de Ejecución (EUs).Estas tarjetas también deben ser capaces de aguantar todos los juegos actuales, pero la mayoría de ellos en configuraciones de detalles medios y bajos y con bajas resoluciones. Juegos más antiguos, o menos exigentes todavía pueden ser jugados con buena calidad de gráficos. 2310M: Veloz procesador Dual-core móvil basado en la arquitectura Sandy Bridge con una tarjeta de video integrada y controlador de memoria DDR3 de dos canales. El CPU tiene una frecuencia de 2,1 GHz y presenta el Turbo Boost 2.0 apenas para la tarjeta de video (650/1100MHz). 73.89%: Esta evaluación es mala. La mayoría de las portátiles son mejor evaluadas. Esta no es una recomendación para compra.>> Más información puede ser encontrada en nuestra Guia de compra de portátiles.